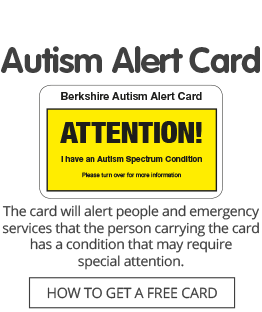 Autism Berkshire has job vacancies for a Home Visit Worker in Slough and Playworkers for our youth groups around the county. The Home Visit Worker will support families and carers living in the Borough of Slough by visiting them at home whilst they are waiting for a CAMHS diagnostic assessment, after they have received a diagnosis or if they are in difficulties. The role also involves running workshops for parents, including Pre-Assessment workshops and monthly support group meetings. We also need playworkers for our youth groups in Reading, Wokingham, Bracknell (two posts), Windsor and Slough to support the group leaders and help to supervise children in a range of group and individual activities during group sessions. Experience working in youth sports and social clubs is preferred. Applications for the Slough Home Visit Worker post will close at noon on Friday, October 7. Shortlisting and interviews will take place as soon as possible after that date. Applications for the Youth Group Playworker posts will close at noon on Friday, October 14. Shortlisting and interviews will take place as soon as possible after that date. Click here for more details of all the jobs and how to apply.